Welcome to the Polish pilot area! The Elbląg High-Plain is situated in the northern part of Poland. The region borders with Warmia Plain from the east and south, with Żuławy depression from the west and with the Old-Prussian Coast and the Vistula Lagoon from the north. The high-plain was formed during the four Scandinavian glaciations. It covers an area of ​​450 km2 wavy moraine hills from drumlins occurring in the central part of the Upland. Drumlins are not very high, elliptical hills of asymmetrical shape, elongated in the direction of movement of the glacier, arising under a glacier moraine material. 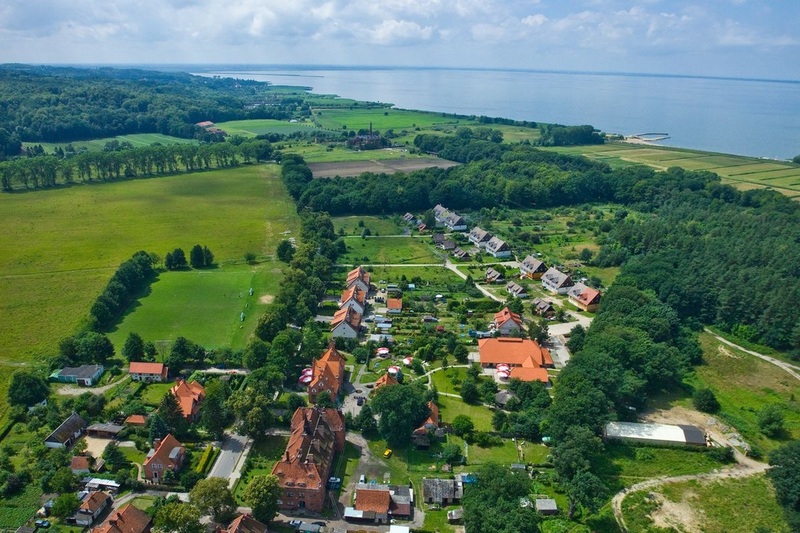 Elevations reach around Milejewo height of 198.7 m. The northern part, from Elblag to Frombork, is an old, dead abrasive cliff formed by erosion processes. The high-plain is cut by a network of numerous valleys radiating erosion, formed by flowing streams. Wild and inaccessible "canyons" are deep for 40 - 60 m. The most dynamic carving (deep gorges and ravines, picturesque streams) has the edge zone, especially in the area of Łęcze and Suchacz. There is also a very rich vegetation cover, interesting is the presence of mountain species. Also rich is the wildlife of the park forests. You can meet here, among others: otters, dormices and raccoons, sometimes even moose. In the backwoods lives the exotic sika deer (imported from Japan as a gift to Emperor Wilhelm II), and recently also wolves . The outstanding landscape and unique nature of the high-plain is protected by the Elbląg High-Plain Landscape Park. However, these are threatened by rapid and uncontrolled construction of residential housing. A new spatial development plan of the municipality Tolkmicko will be the goal of joint planning efforts in this area.